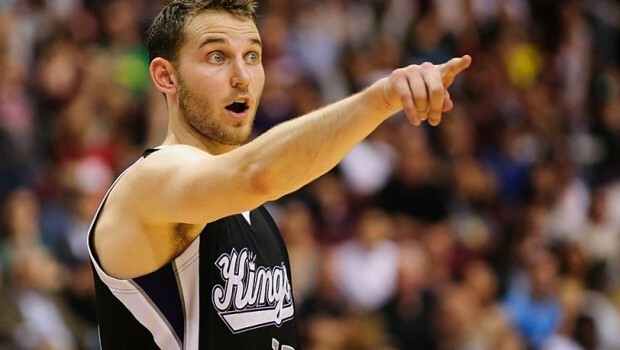 SIXERS STEAL BOMBER STAUSKAS AND A NO. 1 FROM KINGS! 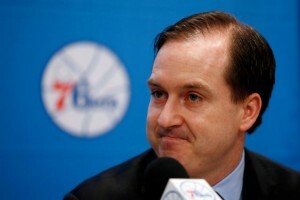 Hinkie pulled off a deal late last night that was a steal — literally. And, in doing so, he has added the long-range shooter that the Sixers desperately need — and they got a first-round draft pick for 2018! And all for a bunch of second-round picks. The Sixers are approximately $40 million under next season’s salary cap, but they aren’t chasing LeBron James, LaMarcus Aldridge, or any other big name free agents. Instead, they’re making themselves available to teams looking to shed salary, trying to pick up future assets in return. But the Sixers hit the jackpot, and of course it came at the expense of the franchise that has made a very strong run at the Knicks’ “Dumbest NBA Team” crown over the past few weeks: the Sacramento Kings. As first reported by Yahoo’s Adrian Wojnarowski and then fleshed out by ESPN’s Zach Lowe, the Kings are dumping a bunch of contracts onto the 76ers in an attempt to free up enough room to pursue some combination of Rajon Rondo, Monta Ellis, and Wes Matthews. Specifically, the Kings are trading away Jason Thompson and Carl Landry—combined they’re owed $13 million next season, and Landry is on the hook for $6.5 million in 2016-17—to free up that space. So what are the 76ers getting for their trouble? 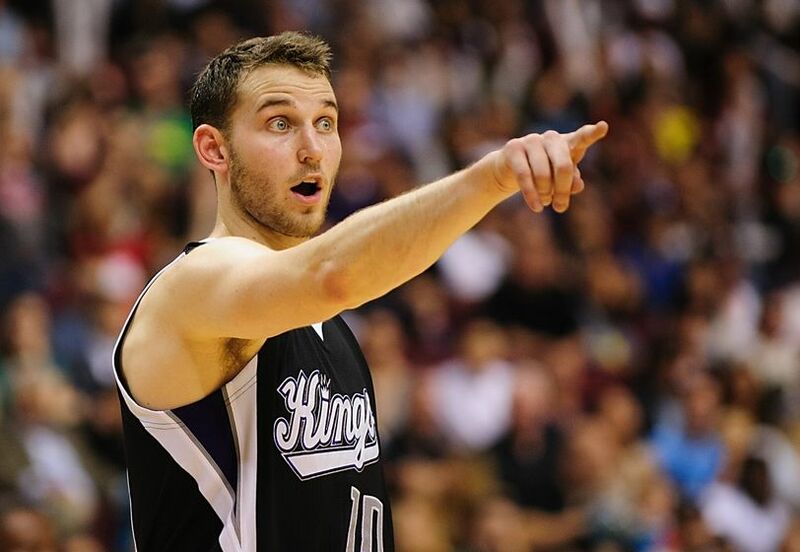 Nik Stauskas, who was the 8th pick in the 2014 draft, and also a top-10 protected 2018 first-round draft pick, and the right to swap first-round picks in two other drafts. The 76ers don’t care about having Thompson and Landry on the books. 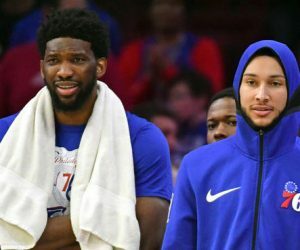 In fact, since the NBA has a salary cap floor, there is no reason not to take on contracts if they can get something in exchange, and Landry and Thompson are both known as quality veterans that could mentor the very young 76ers. If the Kings are good for the next half-decade, this deal looks a lot worse for the 76ers. The draft pick they receive will be in the 20s, and they won’t benefit from swapping picks with the Kings. But the things is, the Kings aren’t going to be good for the next half-decade! They are competing in the West, and think that paying Wes Matthews $15 million annually is the way to get there. Their head coach wants to trade their star player, who is moody and doesn’t suffer slights well. The owner can’t help but mess things up. Their general manager is a neophyte, and doesn’t understand how the collective bargaining agreement works. The Kings, from the owner on down, have proven to be the biggest buffoons this side of the Knicks. As a small consolation, the Kings are also getting unnamed foreign players—not Dario Saric, which probably means unguaranteed contracts —and a second-round pick. No word if that is the 76ers’ pick, or one of the 11(!) other second-round picks they own. But really, it doesn’t matter. The Kings are giving away a bunch of assets just to chase third-tier free agents who probably don’t want to (and definitely shouldn’t) play for them, and even if they get them, they still won’t be competitive in the West. Previous MACPHAIL: ‘PHILLIES VICTIM OF THEIR OWN SUCCESS’ — THAT’S WEAK! Next BLOWHARD BRIDGE-BURNER OLBERMANN TO LEAVE ESPN — AGAIN!